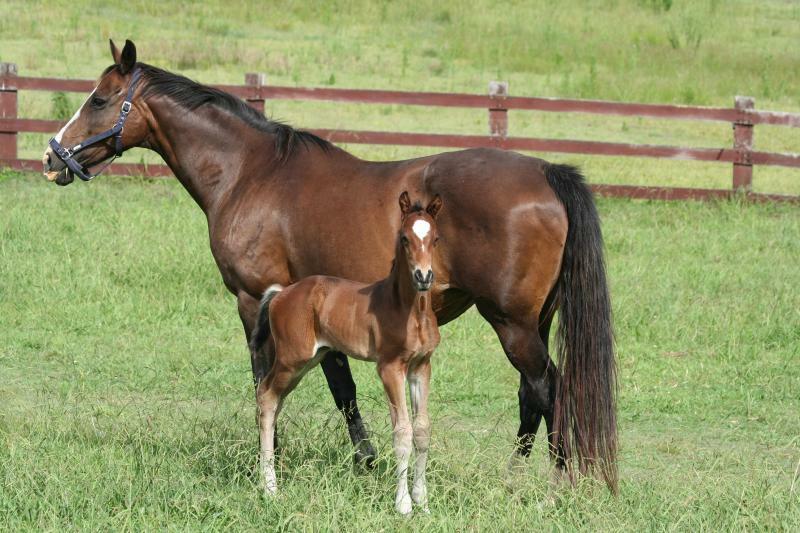 During the early hours of the morning (29th Nov 2007), a beautiful bay colt was born. His name of “Wisdom” and he was given this name because during his entry into this world, there was a beautiful owl perched up on a fence overseeing this lovely moment. After many discussions, it was decided that a name associated with owls should be given to him, and so “Wisdom” was chosen. “Wisdom” is by Chester (“GB Winchester”) out of “Belcam Dove”. “Belcam Dove” is a warmblood mare by Herr Dominator and her bloodlines are related to other successful horses such as Aachimedes, Heyder Domezar and Dom Perigonon. “Belcam Dove” originally came from Belcam and she was instrumental in their breeding program. Several of her progenies have been through Belcam’s auctions reaching high auction prices. “Wisdom” has settled into his new life of napping, drinking, napping and more drinking. Wisdom is now 2 years old and for the last 8 months, he has been living with the McDougall family at their property 'Worlds End" at Pine Mountain, west of Brisbane. Eliza McDougall is the new owner of Wisdom. Eliza has spent time in Germany riding and training young horses. 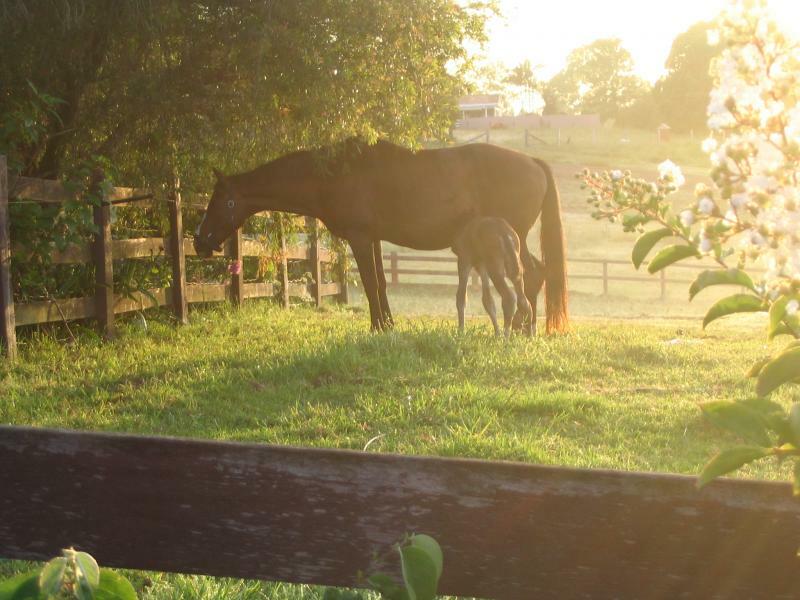 She return early this year and cannot wait to start breaking in and schooling her new young horse "Wisdom".